Boyega and Abrams at Star Wars Celebration in 2015. 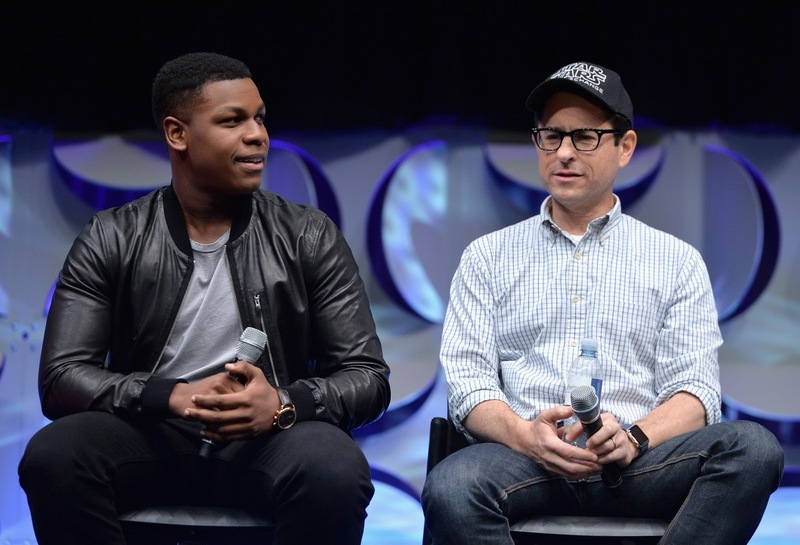 John Boyega is excited to be working with the director that gave him his big, Star Wars break again. The actor who plays Finn in The Force Awakens and The Last Jedi was interviewed by Planete Star Wars recently and he shared his thoughts about JJ Abrams, who wrote and directed The Force Awakens, returning to direct Star Wars Episode IX. Boyega said, "Yeah, I’m really happy [and] really excited. I actually sent him an email and asked him if the real reason is because he misses me. And I think that’s what it is – that’s the only reason why he came back, and I appreciate that." Abrams was brought on board to direct Episode IX, the final installment in the sequel trilogy, after Colin Trevorrow was let go. In addition to directing, Abrams is co-writing the film with Chris Terrio (Argo). The film is slated for a December 20th, 2019. Before that, Star Wars: Episode VIII The Last Jedi hits theaters on December 15th. The film is written and directed by Rian Johnson and stars Daisy Ridley, Mark Hamill, John Boyega, Adam Driver, Carrie Fisher, Kelly Marie Tran, Laura Dern, Benicio Del Toro, and Lupita Nyong'o.